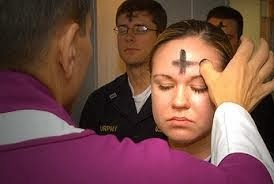 So, what do you make of Ash Wednesday and Lent? By tradition it is a time for penitence and fasting, but this has been stylised down to a penitential feel to our liturgy and perhaps giving up some sort of food that any of us think we may over-indulge in – like chocolate, coffee, or maybe sugar. As something of a modern innovation some people have used Lent as a time to limit or eliminate their internet use for the period – or TV viewing. For me, two ideas are at the heart of Lent and if you get the idea, then the possibilities for you during Lent are unlimited. At the heart of the idea of penitence is the idea of making time to be with God. For many of us, our lives are so full of commitments and activities that it becomes a real challenge to create space for God. A word that embodies the essence of this and may inspire us as we enter Lent is DECLUTTERING. There is both a spiritual dimension to this as well as a physical dimension. Lent provides us with an invitation to simplify our routines of life as much as possible. This may mean avoiding a hectic social life during the period or making sure we have our time with God each day or being determined to be mindful of God in each and every day – wherever we are, whatever we are doing. But is not just our interior life that needs a good decluttering during Lent. We all accumulate stuff all the time. Lent is a great time to go through your things – books, CDs, household goods, pot plants, even, whatever – and pass them on (your favourite op shop will love you to bits) or try Freecycle through your local Council. And when it comes to going without perhaps you could consider doing it differently. Who benefits from your denial of coffee or chocolate? Some of you might tote up the expense you have saved and pass it on to a charity. But really, we could go without a whole lot more. Most of us are abundantly blessed materially and perhaps we could acknowledge this as a sign of God’s abundant grace and make some extra gifts to your favourite charities – maybe church, maybe secular. But it is a way of saying we have so much to be thankful for. These are just examples – not instructions. But I encourage you all to see this Lenten time as a really fertile season for your spiritual growth as you find all sorts of ways to spend time with God and seek out new ways of expressing your gratitude for God’s grace to you.